The Satsang Foundation, Kerala Kendra is glad to announce a residential program with Sri M in Kannur, the city of Looms and Lores (handloom and folklore). Kannur is well connected by bus and train. The airport is expected to be inaugurated on December 9th 2018 and commercial air services are expected to start the same day. 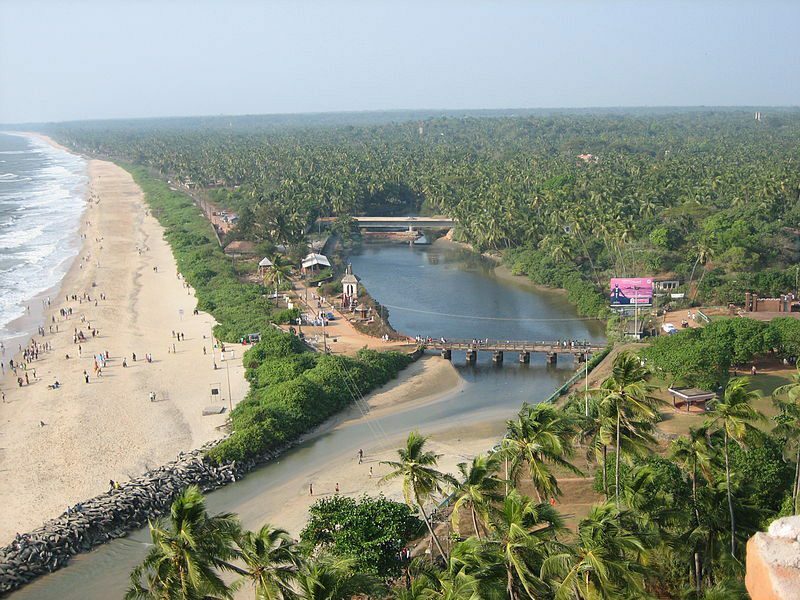 The venue is a resort on the Payyambalam Beach. Time : 11.30 a.m. on 25th February (Start of registrations) to 28th February lunch. Kriya initiation or Kriya review is NOT an assured part of the program. It will be decided only by Sri M. The detailed schedule of the residential program will be finalized and sent to the confirmed participants at a later date. Cost includes food and stay and transportation charges from the venue of the program to the place of stay from the time of reporting to the venue on 25th to 28th lunch. There will be three categories of accommodation. The difference in pricing is based on convenience and proximity to the venue. The amount is to be paid in three instalments. Thank you for the overwhelming response. All Category registrations are now Closed ! Rs.6000/- post dated cheque. Refundable if there’s a cancellation before a certain date. Dates will be communicated to the registered participants. Rs.3000/ – in cash at the venue. Rs.4500/- post-dated cheque. Refundable if there’s a cancellation before a certain date. Dates will be communicated to the registered participants. Rs.2500/ – in cash at the venue. Rs.2500/- post-dated cheque. Refundable if there’s a cancellation before a certain date. Dates will be communicated to the registered participants. Rs.2000/ – in cash at the venue. Men and women will be housed separately. Thank you for the overwhelming response. Category A registrations are now Closed ! Category A: Stay in different hotels near the venue. Rooms are air-conditioned with three people in a room. All hotels are near the sea. Category B: Stay in different standard hotels. Rooms are air-conditioned with three people in a room. Places of stay are not near the sea. Category C: Dormitory style with shared bathroomsin the city. Non air-conditioned. Though registration will be on FIRST COME FIRST REGISTER BASIS, preference will be given to first timers. Registration will be closed once slots are full. We will have a waitlist and they will be informed along with confirmed participants on or before 15th November. Children below 10 years are STRICTLY NOT ALLOWED. Children aged 10 years and above will be charged the full amount. 1. To enrol, please click on the Google Form 1 (link given below), fill all the details and submit. Please ensure that your Google form is filled in correctly with all the required details. 2. On receipt of your registration form, if eligible, a Temporary Registration Number will be generated and emailed to you before the 15th of November. This e-mail will also have the payment details. Payment Confirmations, Notifications and updates will be e-mailed to the registered email addresses ONLY (Form 1). If others are registered from the same e-mail ID then make sure you inform the others. Please read the form carefully before submitting. OVERSEAS PARTICIPANTS: Please be assured that we will be considering the difference in time zones for your registration. Please click on the above link to fill and submit the form. We expect all communication about registration confirmations & waitlists to be sent out by November 15th. Please do not call before this date.